VOTING OPEN for the 2018 App Showdown Finalists! Did you know you can vote for your favorite app of 2018? It’s super simple! 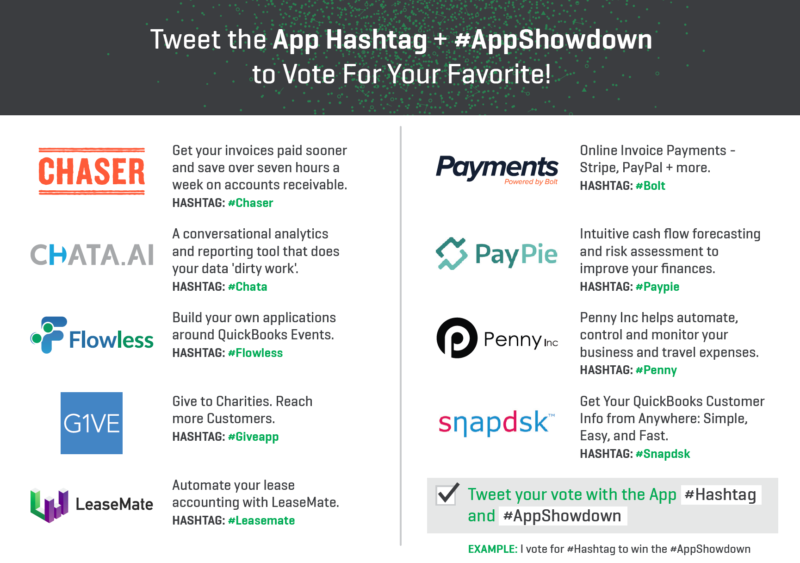 Just tweet the App Hashtag + #AppShowdown to Vote for your favorites! Every. Single. Tweet counts as a vote. Retweets count too! See you at the #AppShowdown!